1099-K vs 1099-MISC—What’s the Difference? If you use contract employees (also known as independent contractors, freelancers, or self-employed workers), you know you have to issue them a 1099-MISC if you pay them over $600 in a year. But what’s this new thing called a 1099-K, and what does it have to do with your business? In other words, what’s the difference between a 1099-MISC and a 1099-K? When would you issue a 1099-MISC, and when would you instead issue a 1099-K? Or when might you receive a 1099-K? 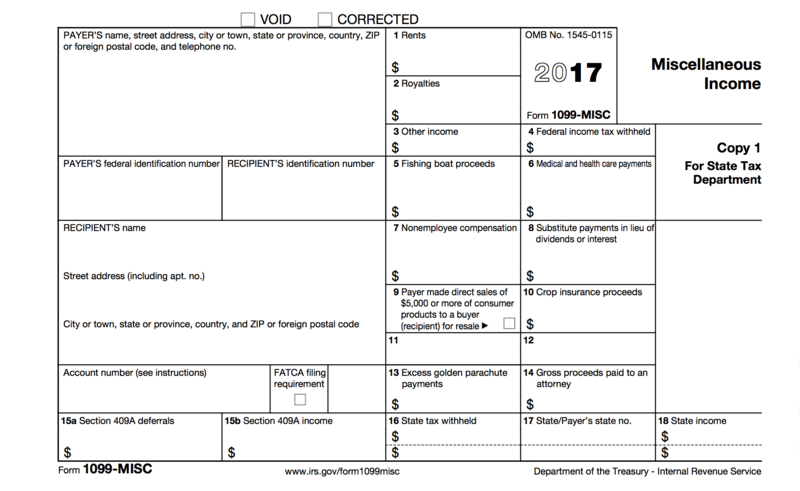 A 1099-MISC is a 1099 form that you are probably used to hearing about. If you hire someone who is not an actual permanent member of your staff to do something for your business, you will probably issue a 1099-MISC to both the contractor and to the IRS by January 31 of the year after the work is performed. It’s not very complicated, and it’s not very hard to do. You fill out the amount of money you paid them in Box 7, Non-Employee Compensation, and that’s about it. In recent years, thanks mostly to the growth of the internet and eCommerce, the IRS has had to introduce a different form to help track third-party processor payments, like Paypal, Stripe, and credit cards. The establishment of accounts by a significant number of unrelated parties. An agreement between the organization and the sellers to settle payment transactions. The establishment of standards and mechanisms for settling the transactions. The organization’s guarantee that they will pay the provider. So basically, unless you are actually functioning as a payment processor for other businesses, you don’t have to worry about issuing any 1099-Ks. What If I Receive a 1099-K? On the other hand, if your online activity and your payment-processing activity is significant enough, you will receive a 1099-K from one or more of those entities. The bar is very high, though: Your activity through one TPSO has to amount to more than 200 transactions and over $20,000 in value in a year. If, for example, you do a lot of selling on Etsy or eBay, you might get a 1099-K from Paypal for accepting payments through that service, and you might also get one from your merchant bank for accepting payments through credit cards. When you get a 1099-K, note that it indicates only the gross amount of money that you processed through your account. This means it does not deduct the fees that you paid to the TPSO, which they probably deducted from your payment before they transferred it to your bank account. If you have a great accounting system like ZipBooks, they will keep track of those processing expenses for you so you can include them as business expenses when filing your taxes. If you allow your customers to receive cash back as part of their transaction, you’ll need to reduce the gross receipts from the number shown on the 1099-K. The 1099-K will report the full gross amount, but you shouldn’t report that full amount as your taxable income. Instead, deduct the amount of money given to customers as “cash back” before reporting it on your Schedule C. Keep good records of this activity, because it can have a huge impact on your tax return. Unlike the 1099-MISC, a 1040 doesn’t have a place to just input the income number from the 1099-K. You will have to take the total gross receipts number from the 1099-K and add it to any other gross receipts from other payment methods, and then report your total income on your Schedule C, Profit or Loss from a Business. 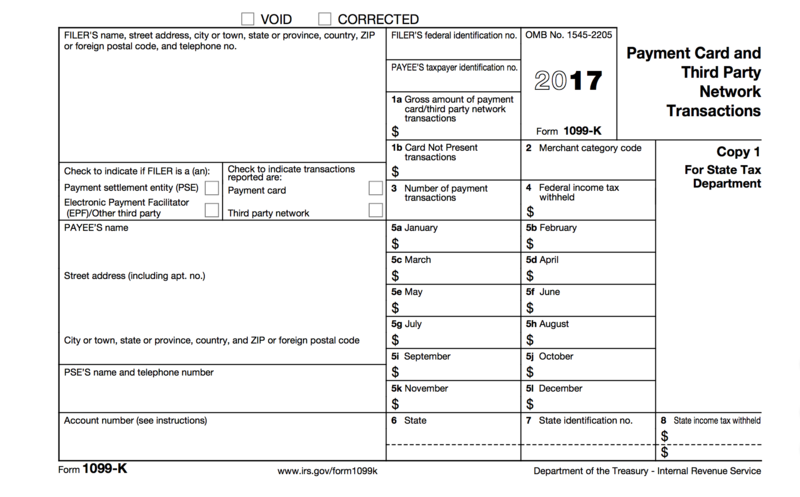 If I’m Exempt from a 1099-MISC – Am I Exempt from a 1099-K too? Unfortunately, no. While S- and C-corporations and non-profit organizations are exempt from receiving 1099-MISC forms, every business entity that runs a lot of payments through a TPSO will get a 1099-K form reporting the gross revenue. Providing, of course, that they hit the 200 transactions plus $20,000 in revenue threshold.